Like our modern day ‘live laugh love’ wall stickers, Ancient Egyptian families often decorated their home with images of Bes. 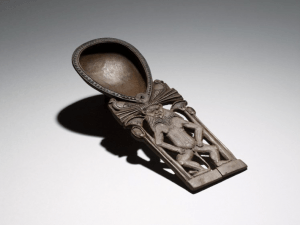 His figure is found on a range of household objects including mirrors, cosmetic jars and even the headboard of beds where he’d protect the person sleeping. Wooden cosmetic-spoon featuring Bes at the British Museum. Museum number EA5954. If you could only have one Egyptian god at your house party, you’d choose Bes. What better party guest than one who can provide great music and dance all night whilst simultaneously protecting the house? 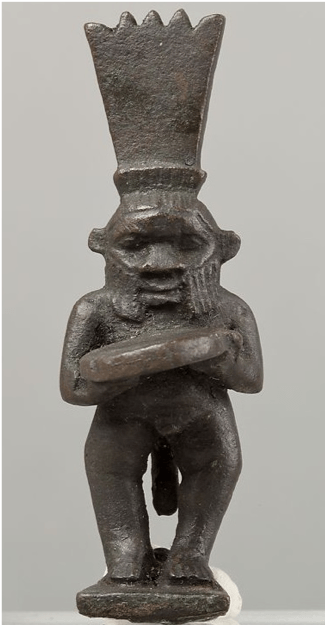 You can see figurines of Bes dancing at the current exhibition in the Petrie Museum called ‘Shake, Rattle and Roll: Sounds of Roman Egypt’. He is often depicted playing a tambourine or harp or dancing near other musicians, and some performers even tattooed his image on their bodies. 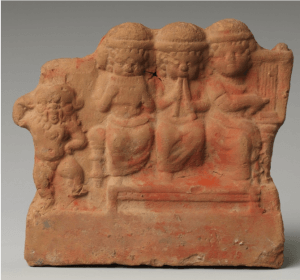 Dancing Bes alongside seated group of musicians in the Metropolitan Museum of Art. Accession number: 23.6.79. 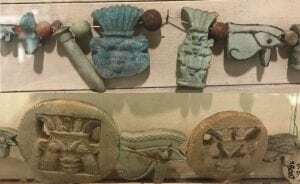 The collection in the Petrie Museum contains many strings of beads with amulets of Bes, such as the blue faience bead of Bes’ head (read more about the bluefaiencein Arendse’s blogpost.). These were probably worn for protection but make for a great statement piece too. Amulets of Bes in the Petrie Museum with accession numbers UC37498 (top) and UC38008 (bottom). Engager’s own photo. 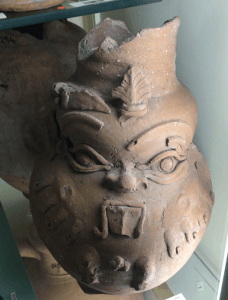 It’s impossible to miss the abundance of pottery vessels in the Petrie Museum featuring Bes’ face. They’re so charming and always popular among the visitors at the museum, featuring heavily on the #PetrieMuseumInstagram hashtag. Pottery vessel with Bes’ face decoration in the Petrie Museum. Accession number: UC8902. Engager’s own photo. 5) He makes you smile…and he’s supposed to! 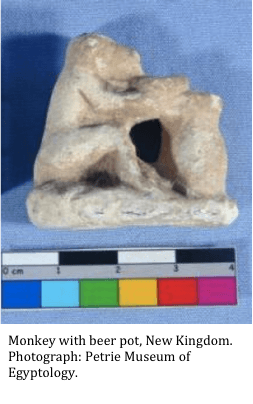 When ancient Egyptian babies would unexpectedly laugh or smile, many Egyptians believed that Bes was somewhere in the room pulling funny faces. He was a protector of mothers, children and pregnant women, and wall paintings of Bes have been found in rooms that were associated with children or childbirth. Column Capital in the form of a Bes-image in the Metropolitan Museum of Art. Accession number: 23.2.35. Engager’s own photo. 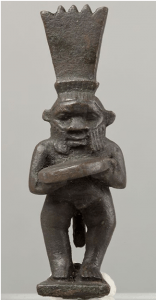 As can be clearly seen on the amulets, Bes often wore a headdress made of feathers. He also was depicted wearing a lion skin cape, although after the New Kingdom he often opted for a leopard skin cape instead (very on trend!). However, the Romans adopted him as a military deity and often depicted him in their legionary costume. 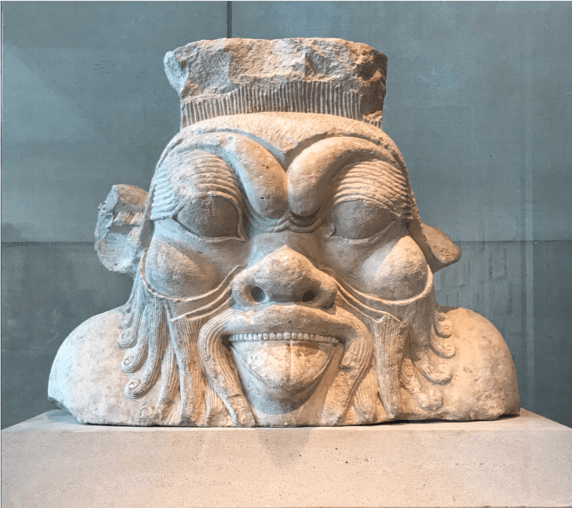 From the ultimate party guest to splashing his face on vases, Bes is the best Ancient Egyptian god. 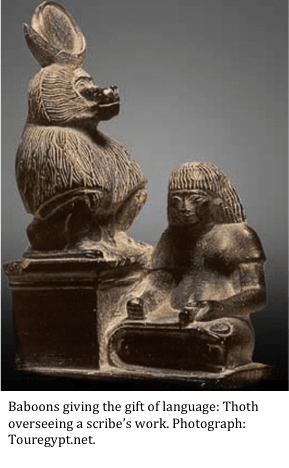 Initially as a protector of the Pharaoh, Bes became the god of the people, looking after their homes and their children. He was a multifaceted god, who was a serious protector and a merry entertainer. In fact, the only temple believed to have been dedicated to Bes was next to a vineyard so he could protect the grapes and oversee the production of wine! Many relics still exist today featuring his distinctive figure. 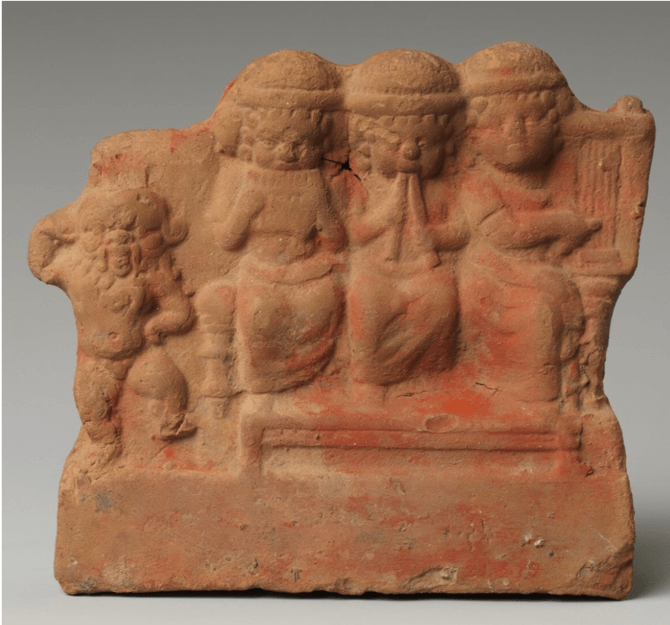 Visit the Petrie Museum where you can find many Bes related artefacts including several vases, amulets and figurines!